The most innovative fitness apps in Malaysia (2018) i need to give it to Healthifyme .This apps is super outstanding , is like a gym on an apps . You can get a 1 on 1 fitness consultation 100% for free . And all the coaches and nutritionist/dietitian that collaborate with healthifyme is top notch . Hei guys i am coach Weng here. So today i will be showing you a step by step gudie on how to register , choose a fitness coach or nutritionist and get a 100% fitness consultation by using Healthyfime apps in Malaysia . You can register using your gmail account . 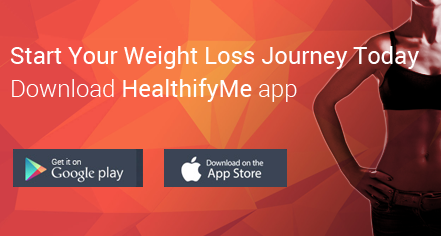 Healthifyme will automatically calculate for you how much calories you need daily to reach your goal, and also what is your desireable weight . Key in 2 meal that you eat , in order to unlock the premium services , which you can choose and pick your desireable coaches .After keying , the healthyfime will automatically recommend coaches for you .If you like your coach ,just press get started and book a call .If not just press on pick another coach . call from the healthifyme coach to help you in achieving your fitness goal. The system will automatically recommend slot for you , but you can change the time that suit you too . fitness consultation with healthifyMe in Malaysia . PM me if you would like to engage me as your fitness coach on healthyfime . WHY DO PEOPLE AFRAID TO CHANGE WHEN THEY KNOW THEY NEED TO CHANGE.